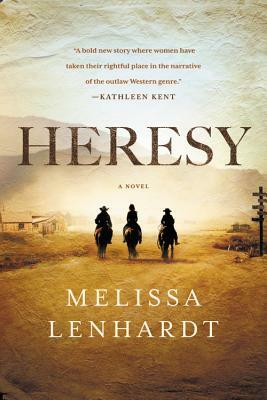 Melissa Lenhardt is the author of Heresy, the Sawbones historical fiction series, and the Jack McBride mystery series. Her debut mystery, Stillwater, was a finalist for the 2014 Whidbey Writers' MFA Alumni Emerging Writers Contest, and Sawbones, her historical fiction debut, was hailed as a "thoroughly original, smart and satisfying hybrid, perhaps a new sub-genre: the feminist Western" by Lone Star Literary Life. She lives in Texas with her husband, two sons, and two Golden Retrievers.